Norma Jean Wood Fowlkes journey began January 21, 1939 when she was born to Mary and Douglas Wood in Huntington, WV. She was the third of nine children. Norma relocated to Columbus, Ohio after graduating from Huntington High School. She lived with her oldest sister Mildred Mason She worked at Western Electric for 11 years, during this time she met her husband Kother Fowlkes, whom she married on June 8, 1965. She was blessed with two children from this loving marriage: Craig and Jannae Fowlkes. She retired from Wester Electric to take care of her beloved family. During this time her greatest joy was serving and dedicating her life to God and her family. She became a dedicated member of Bibleway Church in 1974 where she served on numerous committees including the Usher Board, Missionary, Deaconess, Pastor’s Aid and Hospitality. She was a very generous spirit who BODLY proclaimed the Word of God wherever she was. Norma Jean loved her children, son Craig and daughter Jannae were second to none. Norma Jean is preceded in death by her father Douglas Wood, mother Mary Wood, brothers Pete Wood, Douglas Wood, sisters Rosa and Hilda Wood and her loving husband of 39 years Kother Fowlkes. The legacy she leaves to cherish her memories include son Craig and daughter Jannae Fowlkes, granddaughter Raishawna, grandsons Jeremiah and Craig Fowlkes II and great granddaughter Ja’Miah Fowlkes. Sisters Mildred Mason, Peggy Wood and Patty Rhimes of Springfield Mass; Brother Ralph (Marsha) Wood, Herman (Charlene) Ringer. Sister in laws Katie (Frank) Green of Chicago, IL. 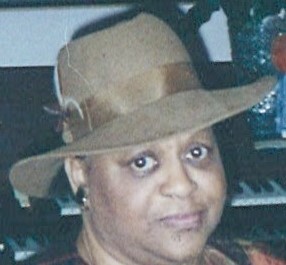 Odie Fowlkes of Fort Wayne, IN, Lillian Fowlkes, Fort Wayne, IN. Special friend Charlene Wright. A host of nephews, nieces, cousins and dear friends. Family will receive friends Friday, December 14, 2018 at 11:00am until time of service at noon at Bibleway Church of Our Lord, 453 S. Wheatland Ave, Columbus, OH 43204. Interment Evergreen Burial Park. Arrangements by WHITE’S FUNERAL AND CREMATION SERVICES, 867 S. JAMES ROAD, COLS, OH 43227, BENJAMIN F. “BENNY” WHITE, JR, FUNERAL DIRECTOR, (614)947-1123, whitesfh867.com.